Piñon Properties, LLC (“Piñon”) is a New Mexico licensed full-service boutique real estate brokerage company established in 2002 in Santa Fe. Piñon has been active in real estate development, construction, sales and property management since inception. While the company’s focus is property management, we also provide services to customers and clients involved in buying and selling residential and commercial real estate in north-central New Mexico. Piñon currently manages over 150 properties for owners of residential and commercial properties in its geographical area of operations. We have a dedicated staff of licensed realtors, assistants and a full range of vendors and suppliers providing maintenance services to our owners. Andreas K. Daddio has been the managing member and licensed qualifying broker for Piñon Properties, LLC (“Piñon”), a full-service real estate brokerage company since inception of the company in 2002. Piñon is primarily engaged in managing residential and commercial rental properties for their owners. 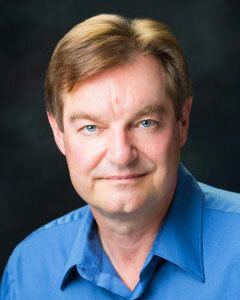 The company also represents buyers and sellers of residential and commercial properties in New Mexico. In addition to holding a qualifying broker’s license, he also held a New Mexico general contractor’s license for many years and has been involved in real estate development, homebuilding, sales and property management. In 1986 Mr. Daddio earned a Bachelor’s of Business Administration (BBA) degree with a dual major in International Business and Marketing from the Robert O. Anderson School of Management at the University of New Mexico (“UNM”) in Albuquerque. He is a veteran of the U.S. Marine Corps, having served with the 3rd Marine Division in East Asia and the 1st Marine Division in California. Mr. Daddio is a naturalized U.S. citizen having been born in Germany and traveled extensively as a member of a U.S. State Department family. He attended high school in the Panama Canal Zone and graduated from the American School of Guatemala. He is conversant in German and Spanish. From 1986 to 1889 Mr. Daddio was Controller for the La Posada de Santa Fe resort in downtown Santa Fe. During his tenure he had oversight of a complete renovation of this historic property in addition to performing all of the duties customary for a hotel controller. During the period 1989 to 1998 Mr. Daddio served as Chief Financial Officer of the Coronado Group, LLC (“Coronado”) and as Vice President of Finance of Southwest Hospitality Management Group, Inc (“Southwest”). Coronado and Southwest were related companies involved in hotel management and real estate development. He was a founding member and shareholder in both organizations. Coronado owned and operated the Rancho Encantado resort in Tesuque, and a Ramada Inn in Santa Fe. Mr. Daddio was instrumental in the acquisition of both properties and filled the role of corporate controller, responsible for all financial and accounting functions. Southwest was based in Santa Fe operated hotel properties in Santa Fe, Los Alamos, Albuquerque, and Santa Monica, CA. It developed and managed the Hotel Plaza Real in downtown Santa Fe off of the historic plaza, as well as two three-story office buildings in Los Alamos. As VP Finance Mr. Daddio set up all of the accounting systems for the hotels and designed a centralized management reporting system. The individual hotel controllers reported directly to him. From 1998 to 2002 Mr. Daddio was Controller and Vice President of Homebuilding for Rancho Viejo de Santa Fe, Inc. (“Rancho”) a subsidiary of an Arizona company developing twenty thousand acres of land along the southeast border of the City of Santa Fe. He came on board as controller for the then start-up operation, setting up the internal controls and accounting systems. He also helped form Ranchland Utility Company, a subsidiary of Rancho, a New Mexico licensed utility company engaged in providing the sewer service to the subdivisions being built. After one year Mr. Daddio ascended to the VP position with responsibility for all aspects of the $18 million annual revenue homebuilding operation, including architecture, contracting, cost control, budgeting, warranty and customer service, and managing a staff of ten employees directly under his control. Mr. Daddio has been an officer in the New Mexico Chapter of the International Association of Hospitality Accountants, and was the Vice Chairman of the Board of Directors of the New Mexico Retail Association Self-Insured Group, a workers’ compensation insurance provider. He has served on the board of many home owners’ associations in various capacities and is currently a director and treasurer of the 21 Bisbee Court Condominium Owners Association. 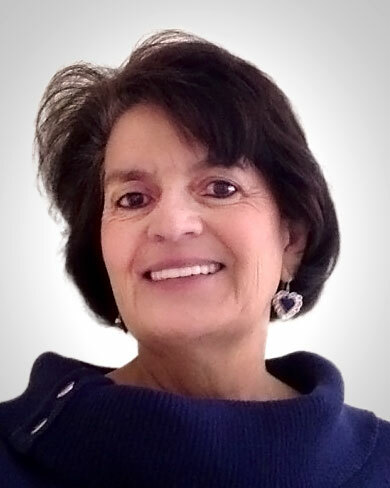 Martha Valdez is the Director of Operations and office manager for Pinon Properties. She has been in that position since 2013. Martha was born and raised in New Mexico. She graduated from Northern New Mexico College with a degree in accounting. Currently working with Pinon Properties, she handles billing, purchasing, property owner statements, tenant billing, advertising and more. Her love to help and connect people has been an asset to Pinon Properties. Rand Levitt grew up in Santa Fe he brings a wide and diversified level of business experience to Pinon Properties. As a business owner, operator, and consultant, he brings a unique perspective to producing thriving, consistent, and creative brands. Mr. Levitt has owned or managed several multi-unit hospitality operations in New Mexico and assisted with design, opening and turnaround of numerous hotel properties. He previously owned Senor Murphy Candymaker, a unique New Mexico chocolate manufacturer with six retail locations, wholesale operations, and a large internet retail presence. He owned this business for over ten years, producing a thriving, consistent, and prosperous brand. He has also owned and operated a successful restaurant equipment leasing company, a retail business specializing in products made in New Mexico, and recently helped develop a revolutionary nutraceutical product and bring it to market. Mr. Levitt has specialized in providing strategic consulting services and business coaching to numerous businesses in New Mexico and has consistently achieved record high customer satisfaction rankings from both customers and staff. He has been a tremendous influence in making improvements to the bottom line and has successfully participated in turning around underperforming operations. Mr. Levitt is a graduate of Santa Fe Prep School and the University of New Mexico and has been active in the business community for numerous years, most notably as President of the Santa Fe Lodgers Association and a Board member of the Santa Fe Chamber of Commerce. He is a certified instructor in the martial art of Muay Thai and is a New Mexico licensed Real Estate Broker.